Featuring prior Star Wars cards with an added on-card autograph, 2018 Topps Star Wars Archives Signature Series applies the baseball formula to the popular franchise. 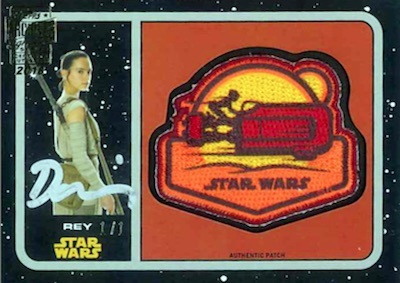 Fundamentally, 2018 Topps Star Wars Archives Signature Series is very similar to the MLB version. Previous Topps Star Wars cards are obtained, hard-signed by the respective subject(s), foil stamped with the brand logo and serial numbered. Lastly, the end product is encased. With just one card per box, collectors must roll the dice to see if they come up big. 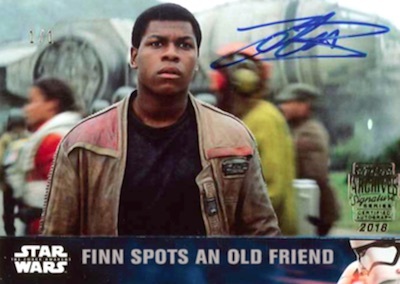 Although most of the 2018 Topps Star Wars Archives Signature Series pulls use past base cards from Topps Star Wars sets, starting with 1977 Topps Star Wars Series 1 and continuing up to recent releases like Rogue One, there are more limited versions, as well. Among these are the "ultra-rare" signed manufactured medallion and patch cards. Also, dual autographs naturally put two on-card signatures on the same card. The 2018 Topps Star Wars Archives Signature Series checklist covers a significant portion of the Star Wars saga, including the original trilogy, the prequel trilogy, The Force Awakens, Rogue One and the animated Star Wars: Rebels and The Clone Wars. 2018 Topps Star Wars Archives Signature Ben Mendelsohn Auto 6 7 NICE!!! Buy 2018 Star Wars Archives Signature boxes direct from Topps for $40. 124 subjects. 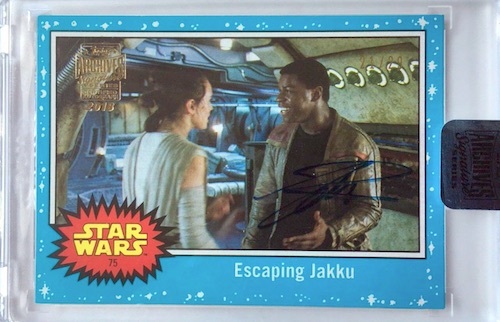 Shop Star Wars Archives Signature cards on eBay. Serial numbered. Most subjects have multiple card versions. Ripped a case hoping for something great. NOT so. Hit two Chewy autos with Mayhew numbered to 5, rest of the autos were of actors who may have had two minutes on screen. I am about ready to give up on Topps one hit products. This is NOT worth the price, Clearly Authentic baseball was horrible. Not impressed at all. Buy at your own risk.